Home NEWS Current Mt. Kenya MPs have failed the President, people of Kenya – Kirori. Current Mt. Kenya MPs have failed the President, people of Kenya – Kirori. Anthony Kirori Ndung’u addressing Juja town residents on his final campaign trail. Juja Town Constituency aspirant Anthony Kirori Ndung’u has criticised the current Members of Parliament from the Mt. Kenya region for failing in their duties to support President Uhuru Kenyatta and his deputy William Ruto in implementing the Jubilee agenda in the last 4½ years. Speaking on Saturday during his final campaign stretch, Kirori, who is vying on a Maendeleo Chap Chap ticket, described their performance in Parliament as a disappointment. “The current elected representatives from the Mt Kenya region have accomplished very little in terms of contributions to bills and motions brought to the House by the Jubilee Government, despite their tyranny of numbers. They left it for the opposition to dominate, thereby frustrating UhuRuto’s quest to implement their agenda for the people of Kenya,” said Kirori. He added that all Mt. Kenya leaders did was to jam media stations for publicity without taking into consideration, their primary role in representation and legislation. “It is for this reason Kenyans and Juja residents are craving for change. Juja people need a leader who will go to parliament to legislate and make laws that will benefit them and make it easy for President Uhuru Kenyatta and his deputy to implement the Jubilee manifesto for this country,” he said. 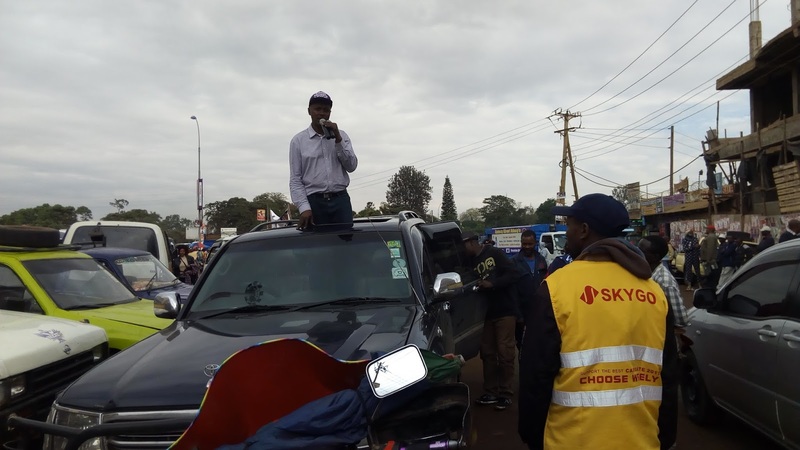 Kirori said that his priority if elected to parliament was to work out a permanent solution to the traffic jams along the Juja flyover and improve on the infrastructure of the constituency which has been the greatest challenge over the years. He also promised to ensure that all his constituents accessed clean and safe water within the next five years of his tenure in office. “We have also been having a lot of challenges in acquiring title deeds for our plots of land across Juja Constituency. I will prioritise this mission to ensure my people enjoy the benefits of their properties. I will also ensure that all grabbed public utility is reverted back to the people,” he said. He said that he would work to empower the people of Juja through programmes geared towards job creation.